This is a look to East Germany. 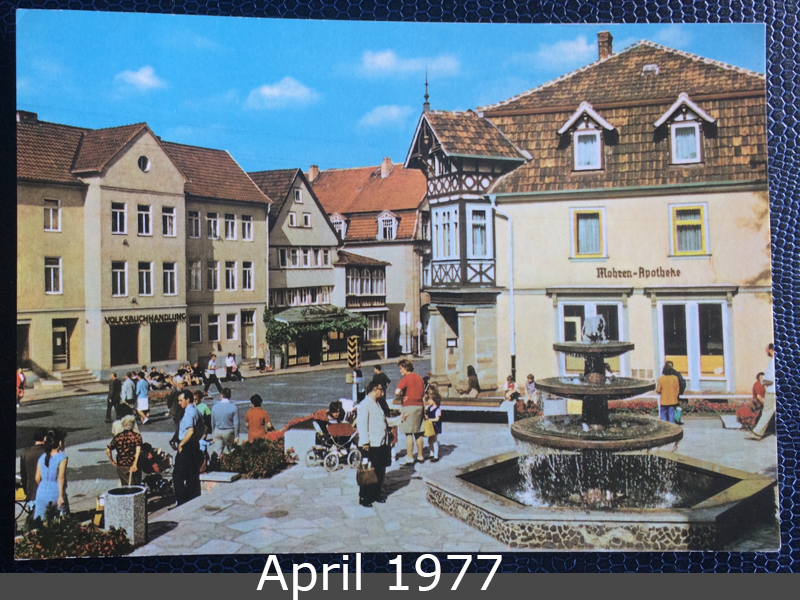 The market place of Bad Salzungen in Thuringia, Germany. 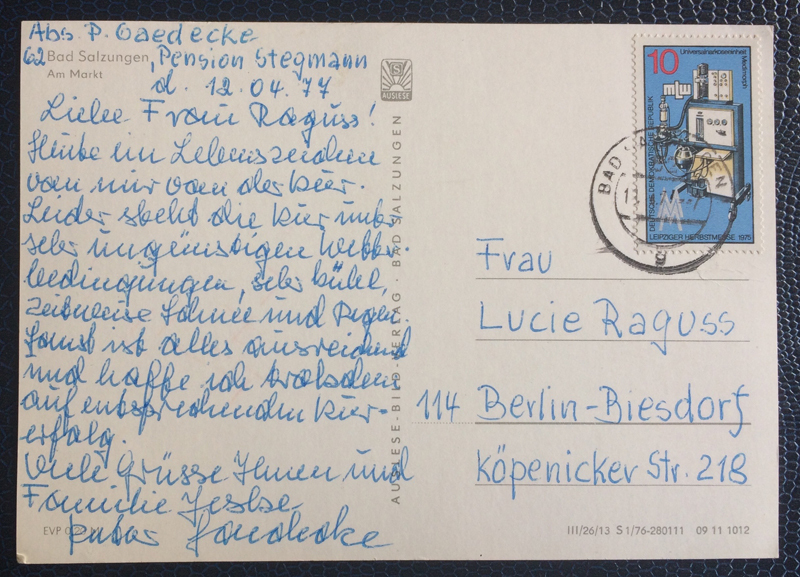 The postcard goes to Berlin-Biesdorf in year 1977.